I went to the Music Boutique in Northfield NJ on Friday, October 16th, 2009. I went there to meet Ox. Ox Roxley. Ox Roxley is the name of the next set of hands helping out JerseyMic.com. He’s agreed to send me video clips from open mics he goes to, shortened to include the best 30 seconds from different acts of the night. 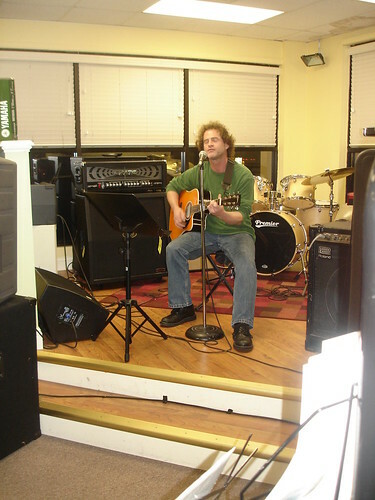 He’s a Brigantine local and a very talented musician. Expect a blast of posts coming up with video clips from him and hopefully some reviews if he feels so inclined! This entry was posted on October 20, 2009, 1:56 pm and is filed under Articles and Updates, Open Mic Night Coverage. You can follow any responses to this entry through RSS 2.0. You can leave a response, or trackback from your own site.